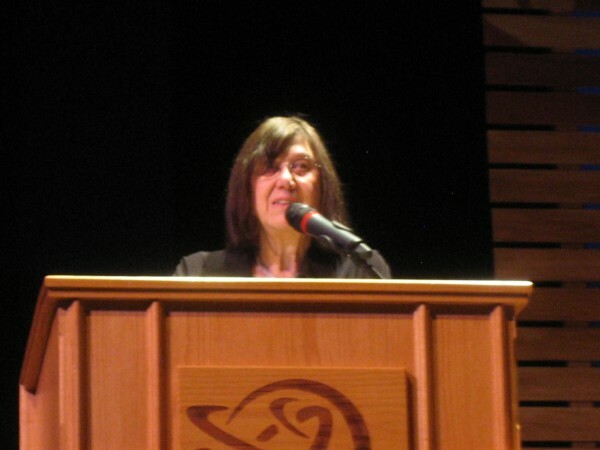 On Jan. 24, 2013, the Utah Humanities Council and the Grand Theatre presented Eileen Hallet Stone who spoke before the opening night of The Voice of the Prairie. Hallet Stone, a professional oral historian, talked about the history of radio and its ability to deliver stories. “You can drop into a radio show where everyone is a story,” says Hallet Stone. She also talked about Orson Welles’ War of the Worlds show that threw the country into the panic because people thought Martians really were invading. “It was all about imagination,” says Hallet Stone. The stories weren’t all fiction. Studs Terkel was able to make “the common man’s story our story” says Hallet Stone, and he only needed a few minutes to do so. The Voice of the Prairie takes place just as radio was in its infancy. The play focuses on a storyteller whose radio show is an extension of his life before radio and his Poppy who told stories to people for food and drink.